To spank or not to spank – what kind of discipline actually works? It’s been awhile since I have written a blog post related to foster parenting, but something has been weighing heavily on my mind and I would like to share it and allow others to share their own thoughts on the subject. As a foster parent, it is absolutely forbidden to give a child any physical punishments. No spanking, no standing in the corner, no hard physical labor or military-type exercise. In fact, sometimes it feels like as a foster parent the only type of discipline left to use is privilege removal and time out. Unfortunately, I find that most of the discipline options we are allowed to use don’t seem to actually work. It leaves me wondering, what if anything would work? I have heard some foster parents swear that if they could just spank the kids or make them do physical drills like they are in boot camp, that they could “fix” these kids. However, I’m not so sure about that. I have known regular kids who were spanked or raised with military-type parents and some of those kids still didn’t turn out well. So what is the real answer? Unacceptable actions do certainly have to have some kind of consequence, but what kind? Even our foster childrens’ therapists and counselors seem stumped sometimes as to what will help. They often have us trying one behavior management program after another just to see them all fail. This also leaves me wondering if it helps to constantly be changing your gameplan when it comes to discipline, even if a certified therapist recommends it. Sometimes I start to get confused about what we are supposed to be doing because it gets changed so much…so imagine how the kids must feel! So now I am asking all parents, whether foster, biological or otherwise…what have you found that actually works as discipline? What seems to be totally ineffective? 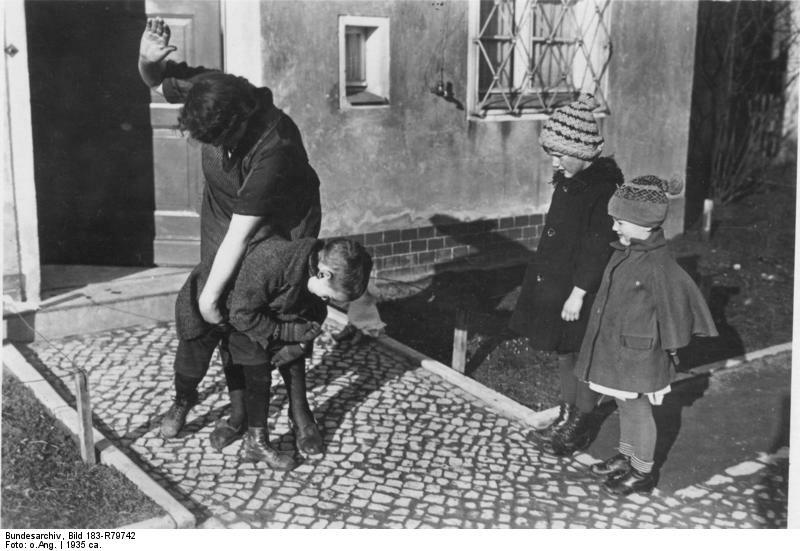 Are you for or against spanking? I grew in a house hold with no spankings. We were placed in a chair and then my father would cool off,before he dealt with us.Then we would have to explain our behavior. Sibling fighting resulted in sitting in a chair facing each other without be able to touch each other. Then more lectures. We could not leave chairs until we apologized and said we loved each other. If I did not always say it first I think my brother and I would still be in the chairs. We use to beg my dad to give us a spanking to get our punishment phase over with. We were grounded, privileges taken away after explaining our behavior. Often we had no idea why we did the things we did. I think it was good though it taught us to cool off and reflect. I don’t know it this helps or not. I am challenged with my twin daughters every day. My son is much easier and respectful. Thanks for reading and responding! My husband’s parents did the same kind of punishment when him and his six siblings would fight. They would have to sit and stare at each other until they were willing to say “I love you” to the other. I do sometimes think that would be far worse than a spanking lol. I’m not a fan of spanking. I used to pop my daughter’s leg and then it just made me feel horrible and didn’t fix her behavior. I don’t think she understood why I was popping her. So we do time out. She is put in a play pin and stays there until she stops throwing a fit or whining or whatever. I also take things away/throw things away if necessary such as markers, play doh, etc. When I was a child, we were spanked and even made to sign a paddle. That really only made me resent my dad. I don’t want to instill those kind of feelings in her. I think being firm and following through is the best way for me. It’s hard to do, but necessary. I will pop her hand from time to time if I can’t do time out, but usually talking to her in a firm voice and taking things away works. One punishment my dad used that did work was to not let my sister and I talk to each other for the day if we were fighting. We fought all the time, but as soon as we weren’t allowed to speak to each other, we missed each other and treated each other better. Good luck figuring out what works for you. It’s really tough trying to work this stuff out as a foster parent. We have all these rules to obey that philosophically I absolutely agree with. Spanking doesn’t teach anything except that the biggest/strongest wins. Then as they grow and eventually become bigger than us, they win! They haven’t learned the lessons we need them to learn if we want them to become the responsible, independent, aware & considerate humans we hope they will become. Praising the good behaviour, giving kids plenty of physical exercise, giving them your focussed time and attention (ie get off the phone, get off Facebook etc) and actually play with your kids – these are the proactive things you can do to prevent the behaviors in the first place. BUT… Throw in some autism, some attachment issues, some ADHD, some oppositional defiance – all relatively common within the fostering situation, and you have a whole new level of parent frustration & challenge. Managing yourself is the hardest thing. Most of us are just trying to do our best. I am a foster parent, but would l also not spank a biological child. I do not believe it is ever “necessary” to hit a child in any way. Spanking and yelling at children do not teach them anything accept that you are mad. And honestly, I don’t know how you could possibly tell a child it is wrong to hit someone and yell at someone when they are angry, if that is what you do (I understand some people think there is a difference between spanking and hitting, but a child does not make that distinction). You just have to remember the goal of parenting, in any situation, isn’t to have a perfectly behaved child- it is to raise functioning, well adjusted adults who can think for themselves. Often, children act out because they feel that is the only way they are heard- we have to teach them how to express their feelings and emotions in a healthy manner. In my experience, getting down on their level, and addressing the reason for whatever the misbehavior is, has always been the most effective in changing the behavior. Also, be patient! As adults we make mistakes- you cannot expect a child to never make the mistakes, or act out in the same way again. It takes practice and time. That being said, some kids will not respond to that method of punishment, so continuing to use it isn’t going to produce any sort of results. That’s when working through a list of other options starts. Perhaps time outs, time ins (which seem to be big here in Indiana) and loss of privileges will work better. I’m finding as I work with the kids at church that the key is consistency. If you say you’re going to do something as the result of a specific action, then do it. Once the child realizes you mean what you say (whether a discipline or a reward) they’ll be more likely to stop (or start) the action you want.